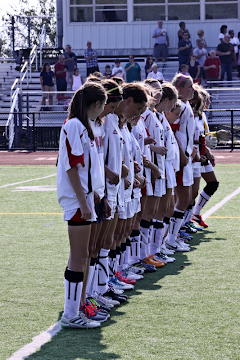 The Whitman Hanson girls’ soccer team defeated league opponent Hingham 2-0 at Hingham today. Alexis Fruzzetti put Whitman Hanson up 1-0 when she finished a volley from a Lily Higgins free kick. The score remained 1-0 until the half. Midway through the second half Kelsey Gilbert fired shot from the left side to put Whitman Hanson up 2-0. The defense led by Stephanie warn, Hayley Bukow, Hayley wells and Marina Kelly played strong in front of goalkeeper Lauren Clark to earn the shutout. Casey Corr, Maddie Shea and Katherine O’Kane all played strong games for Whitman Hanson.